Excel file contains data, but you still see this dialog when you are trying to import data: "There is no data in Excel file to be imported." 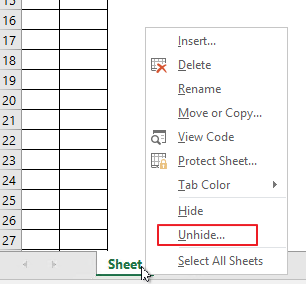 You need to check the Excel file whether there is only one sheet - sheets can be also hidden. Click the sheet tab and select Unhide. Delete all other sheets you do not need for import.